Notes: I was given an eARC loan by the publisher and I bought this one. She owns and writes the scandal sheets. He always seems to fill up their pages. She knows he's up to something. He wants to make sure she doesn't find out what it is. He'll help her get into places she wouldn't otherwise be able to. She'll try to find out what his real story is while pretending she doesn't suspect anything. 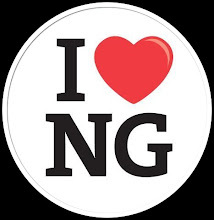 Together they'll set London's ears on fire with the latest gossip of the ton and create one of the biggest scandals London has ever known when its most notorious rake falls madly and passionately in love with the authoress of a scandal sheet. Daniel Balfour, the Earl of Ashford, believes in the age old adage 'keep your friends close and your enemies closer'. He's known around London as a devilishly rich and good looking rakehell and one of its most eligible bachelors. In an attempt to keep London society from finding out about the disappearance of his childhood friend, Jonathan Lawson, Daniel has devised a plan to throw the local gossip rags off his scent. He'll let the Hawk's Eye's reporter follow him around town into some of London's most exclusive clubs and parties. He figures if they think they have full access to him, he'll be able to maneuver around them and conduct his search in secret. If Daniel can locate Jonathan before anyone notices, he may be able to prevent a scandal that would inevitably fall upon the Lawson family despite Jonathan inheriting a dukedom. Little does he know the reporter in question is female and that being in close proximity to the beautiful, smart woman could be quite a dangerous endeavor...to his heart and bachelorhood. Eleanor Hawke has made it in a man's world. She's smart as a whip and lives on her own turns, A rare thing for a lady of that time. Unlike most women around her, she is in control of her own destiny and with her publication could ruin lives if she so desired. Interestingly enough, she's got scruples, integrity, and as she states, doesn't judge but rather reports what is seen. She is unlike the women of the ton, and Daniel finds himself utterly fascinated by her and, truth be told, a little envious. Similarly, Eleanor finds herself attracted and down right charmed by him, but knows nothing more than a fleeting romance could ever be theirs and therein lies her dilemma. Should she give in to her feelings or will he use them against her? I couldn't help but give this one 5 out of 5 roses. It was a fast paced, fun, and delightful read. The only thing I wish the author had done differently, and by no means did this detract from the story, is to have had Eleanor conceal she was the owner of the scandal sheets in the beginning. It would have made the story more realistic and the author could have done some fun things with it, but alas, I loved it all the same. On the Lisarenee Romance Rating Scale, this one earns a SHOWER rating--a cold shower may be necessary (need I say more?). Some books should come with a warning - make sure your significant other is handy or your shower is in working order. 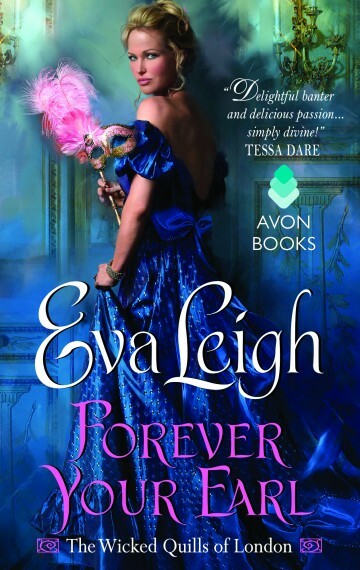 lol An awesome debut for Eva Leigh (aka Zoe Archer) into the realm of historical romances. I hope we see many more historical romances from this very talented author. Thank you for hosting FOREVER YOUR EARL!